If you were asked to define either an on-premises or hosted contact center, could you? Don't fret if you can't: Many professionals don't know the difference between the two. Choosing between the two different systems, however, is one of the most important decisions when implementing a contact center. And new technologies, increased customer expectations and social media-based customer service are further complicating the choice. 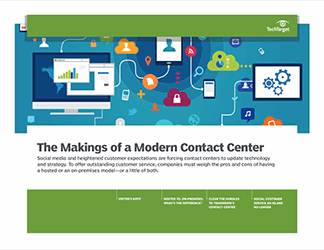 A move away from a legacy contact center system can alleviate pain, improve employee satisfaction and customer service, and save your company money. Confused where to begin? This three-part guide is a good start. Inside, SearchCRM writers explore the key differences between a hosted and an on-premises contact center. Former Site Editor Lena J. Weiner drills down on the pros and cons -- and specifically, the myriad responsibilities -- in an introduction to each system. Next, reporter Christine Parizo takes a hard look at the legacy systems in contact centers. 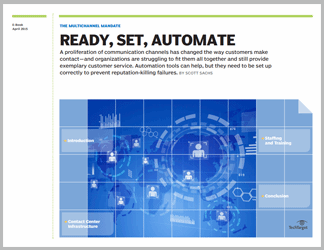 With some observers today advocating a mix and match of new and old technologies to deal with customers, it's no simple task deciding which systems will remain. 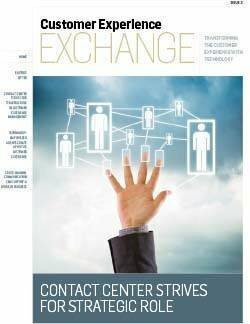 To close, Lauren Horwitz, SearchCRM's executive editor, points to some of the newest trends in contact center technology -- specifically, changes to contact center strategy wrought by social media-based customer service. Hosted vs. on-premises: What's the difference?